As you may know I'm currently doing a year of service with the WAIT team. A group of youth that teaches about HIV/AIDS using the performing arts. Right now, the WAIT team is raising money for our travel costs as we travel across the United States. All of our money comes from donations from the public, and we are encouraged to find creative ways to raise more money. I've decided to start making and selling earrings in order to do this. This is for a good cause, and I'm asking the cost on a donation basis, so whatever you feel inspired to give. However, I do ask that no less than $9 dollars in order to include shipping and everything. 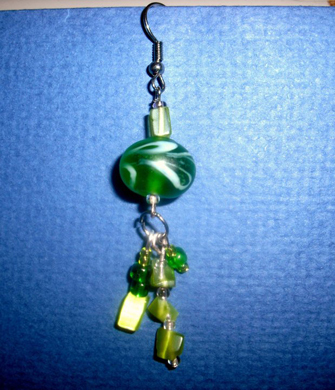 You can browse my earring collection on the link below which will soon have more pictures. You can also make a request of certain colors and style if you like, but it may take me a little bit to complete your request.